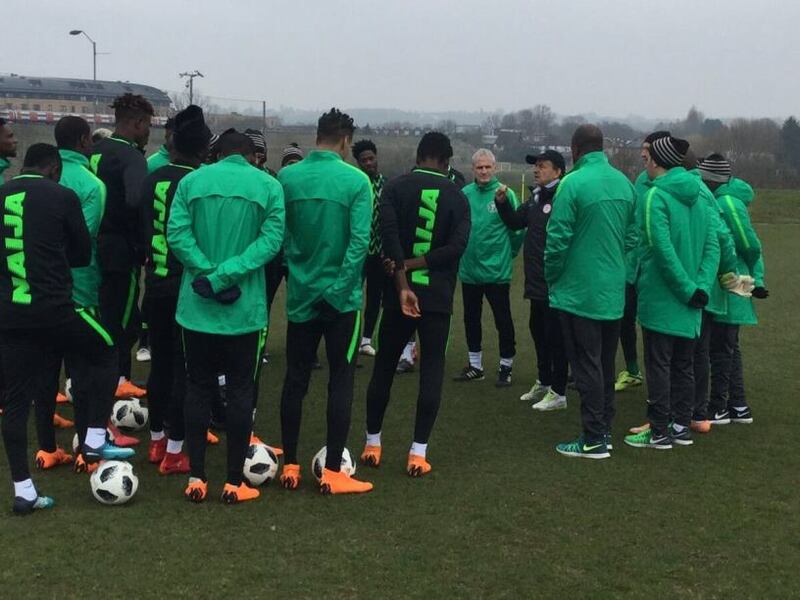 The Nigerian Football Federation, NFF, on Friday dismissed reports of an alleged denial of visas to some Super Eagles players by the South African Embassy in Turkey. Dr Mohammed Sanusi, the NFF General Secretary dismissed the report during an interview with the News Agency of Nigeria (NAN) on Friday while leading a delegation to inspect facilities at the Pa Ngele Oruta Stadium, Abakaliki. NAN reports that a section of the media on Thursday alleged that the South African Embassy in Turkey denied three Turkish-based Super Eagles players, visa into South Africa for Saturdayâ€™s AFCON 2019 qualifier. According to the reports, the development made the players to process their travel documents in Nigeria which affected their early report to the teamâ€™s camp and the needed concentration in training. Sanusi noted that the NFF never received such report as it would have been notified if such an incident occurred. â€œI know that there are mechanisms to ensure that such issues are checked and they are not to be left in the hands of the South African authorities alone. â€œI would have informed the Confederation of African Football (CAF) to act accordingly, so as far as the NFF is concerned, there is nothing like that,â€ he said. The NFF scribe, however, tipped the Super Eagles for victory in the encounter, adding that the NFF had prepared the team adequately for the task. â€œThe team has the quality to deliver on match day because it is not afraid of any team but gives all teams their due respect. â€œNigerians should pray extensively for the team because it is not in all instances that techniques and tactics work in football. â€œA shot can be taken during a match and it would hit the bar but prayers can make it enter into the goal post,â€ he said. He dismissed the fears that the absence of some prominent members of the team would affect its chances against the South Africans, noting that such fears were unfounded. â€œWhen a good player is discovered in Nigeria, millions of others have yet to be discovered as the players on parade have the opportunities of proving their mettle. â€œThe problem is when a coach pins his playing pattern on a particular player and the player gets injured, but when such injuries occur ahead of time, there is no cause for alarm,â€ he said.